Helmets be mandatory for anyone under the age of 12. Helmets must be CSA-approved headgear. After Under-12, parents would sign waivers or, helmets are worn until the age of majority in that province/territory. Curling Canada will work to develop an ongoing concussion awareness education program that can be circulated to through our Member Associations to their affiliated clubs on a regular basis (one-two times/year or as needed). That, based upon the unanimous suggestion of the Curling Canada Operations Advisory Council, the Member Associations endorse the immediate release of a Curling Canada statement to encourage Canadian curling clubs and facilities to acknowledge a concern about Head Injuries and Concussion and urging clubs and facilities to implement helmet use initiatives in beginner and novice curling programs, and that helmets are strongly suggested for all in the U12 age category. And furthermore that the timeline for the required investigations and, if deemed appropriate, for the introduction of said policy be developed in consultation with the Member Associations and reported at the 2018 Curling Canada Annual Meeting, or earlier. At the 2016 Curling Canada Annual Meeting, a very aggressive Concussions/Return to Play protocol was endorsed by the members in regard to Head Injuries incurred by athletes competing in an event which lies directly under Curling Canada control. It acknowledged that, while rare among high performance curler-athletes, the possibility of falls and head injury does exist. As these events are directly Curling Canada responsibility, the development of a Concussions/Return to Play protocol was also directly a Curling Canada responsibility. 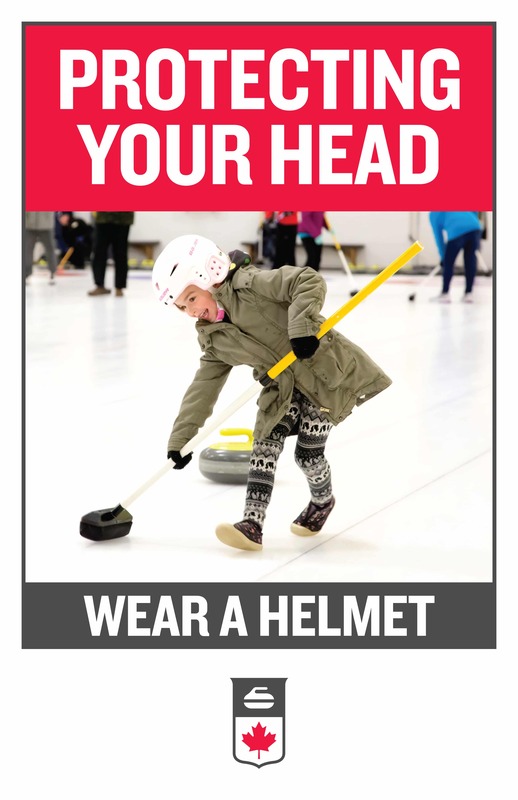 Less clear is the situation in regard to head injuries in recreational play, from the instructional level to the local recreation competition level at any of the nearly 1,000 curling rinks, facilities and clubs across the country. 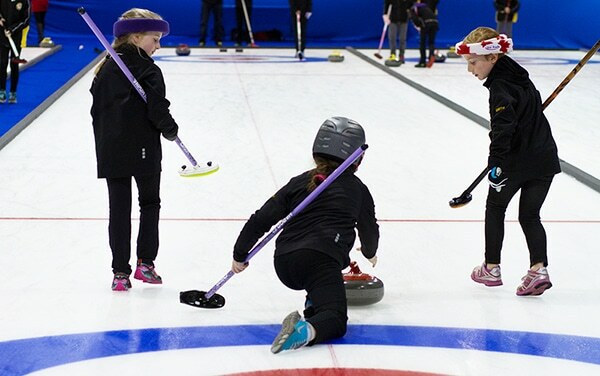 This motion is presented in acknowledgement of the concern about head injuries in ice sports and recognizes the sport of curling has seen incidents of severe injury in clubs across the country as a result of falls, particularly by beginner curlers of all ages – but also by curlers with stability issues due to aging or specific physical conditions. Canada by a network of independently managed club-owned or municipally-owned curling facilities over which Curling Canada has no direct authority, control or responsibility. 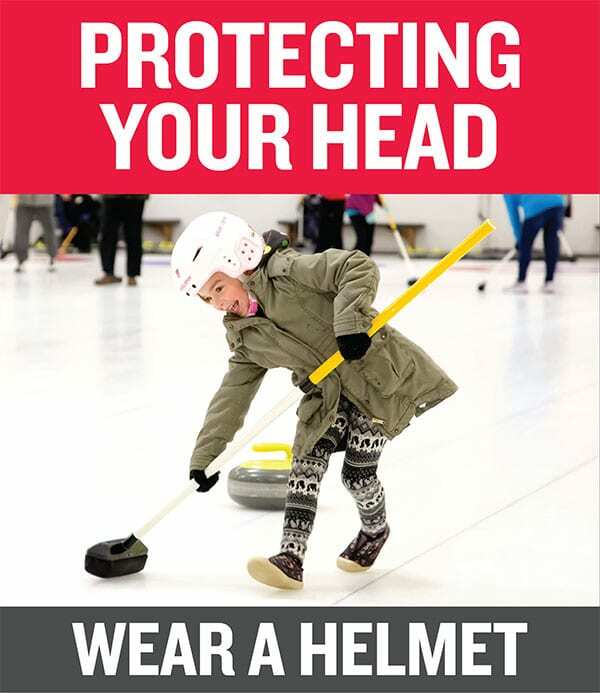 When approved by the Member Associations, this motion will authorize Curling Canada’s staff and volunteers to look into the insurance, legal, organizational and other related implications for the sport of curling of implementing a national headgear (helmet) policy and be prepared to make a recommendation on the policy regarding same, in consultation with the Member Associations. Please see below for an outline on the policy discussion that was held over a number of meetings with the Provincial and Territorial Executive Directors. The recommendation that will be put forth in a motion to support the continued study of this issue and recommendation from Curling Canada is outlined below as the conclusion to this phase of study. 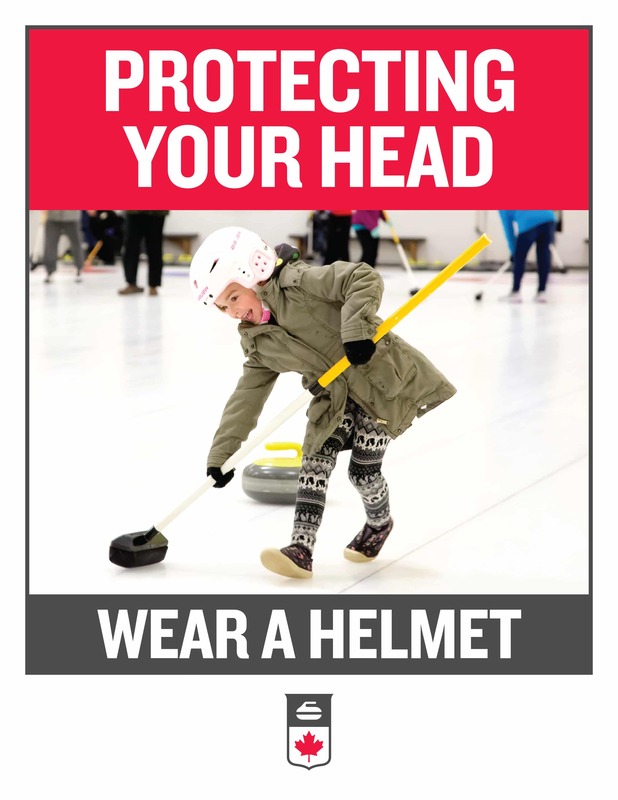 A group of Curling Canada and Executive Directors undertook to review the possibility of a helmet policy from Curling Canada, given the strong interest in this topic at the 2016 National Curling Congress (NCC). Additionally Curling Canada received a public request from the Governor General and Minister of Sport, sent to sport leaders in the country, to make the study of concussions in sport a high priority in their particular sport. The working group reviewed current recommendations from the Canadian Concussion Collaborative (CCC) and research completed and published in British Journal of Sport Medicine. Affiliations with Laval University, Carleton Sport Medicine, Neurosurgery at Toronto Western Hospital and University of Toronto, Department of Public Health of Canadian Medical Association, and Western University. The working group reviewed current policies with other ice sports and discussions on policies, recommendations and enforcement protocols including Hockey Canada, Skate Canada, Speed Skating Canada. The working group completed local and anecdotal surveys among member clubs. There is no helmet policy related to concussion prevention and this needs to be discussed and articulated. Other ice sports (hockey, skating, speed skating) have well-articulated policies concerning age, experience, liability and enforcement motivation. Clubs and MAs are waiting for direction and the feeling is that they would be happy to have clarity on Curling Canada’s position. More clubs are looking at helmets as a way of limiting liability. Anyone who has reason to think that they could be vulnerable (limited mobility, elderly, on medication). Ensure waiver system is re-introduced to clubs and updated if required. 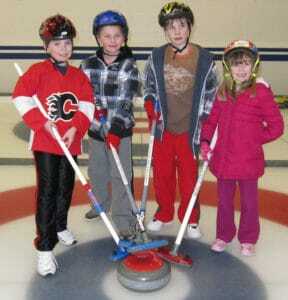 Curling Canada to create standardized safety and concussion education materials for clubs and deliver through MAs. Undertake tracking of safety and head injury incidents along with other winter sports to better understand extent of issue. Evaluate level of compliance to “recommendation” for helmet wear to determine behaviour and acceptance. Explore potential national accident insurance policy and/or waiver system related to individual member registration and make recommendation if needed. Review data and sport injury research to evaluate extent of issues as well as other best practices in sport. Develop pilot feeder system formal “badge” system that allows us to assess competency to determine when junior curlers must wear helmets. For example, Skate Canada ensures all children U12 wear helmets unless they have reached Level 5 in skating proficiency. Launch feeder system formal”badge” system that allows us to assess competency to determine when junior curlers must wear helmets. Continue to evaluate level of compliance to “recommendation” for helmet wear to determine behaviour and acceptance. Evaluate national accident insurance policy and/or waiver system related to individual curler member registration and make recommendation if implemented and needed. Make formal recommendation on whether to implement a formal rule or not depending on a collective evaluation of risk/liability and compliance.